While Conor McGregor takes a well-deserved break from carrying the weight of the entire UFC on his shoulders, you, being a McGregor Bandwagoner (and trust me, there’s no shame in it), probably couldn’t be arsed watching any other lads (or ladies) bate the shite out of each other, but take my word for it – UFC 207 is an absolute must watch! What makes UFC 207 a must watch? The reason why UFC diehards and casual MMA spectators will be watching in their droves is for one reason and one reason only; to watch the return of the UFC’s prodigal daughter, “Rowdy” Ronda Rousey. Ronda hasn’t been seen inside the Octagon since Holy Holm, in no uncertain terms, knocked her the f*ck out over 13 months ago. Since that faithful night in Melbourne, the women’s Bantamweight belt has changed hands more times than the Notorious’ weight class, and now belongs to the Brazilian Amanda ‘The Lioness’ Nunes. Now given that this article is aimed at those of you who potentially don’t even know who the woman is, (shame on you by the way), let me give you a quick rundown on what Ronda means to the UFC, before we get stuck into analysing her upcoming fight. Despite the fact that she’s been the face of the UFC pretty much since her debut in 2013, or the fact that she’s achieved a global celebrity status, or the fact that she’d probably box the ears off Brock Lesnar inside the Octagon, Ronda should be commended as the person solely responsible for bringing women’s fighting to the UFC. In 2012, the very thought of women fighting in the UFC would have been up there with farcical notions such as Donald Trump being the President of the United States. Fast forward 4 years and that orange lad from Celebrity Apprentice is set to be the ruler of the free world and yes, there are women fighting in the UFC. 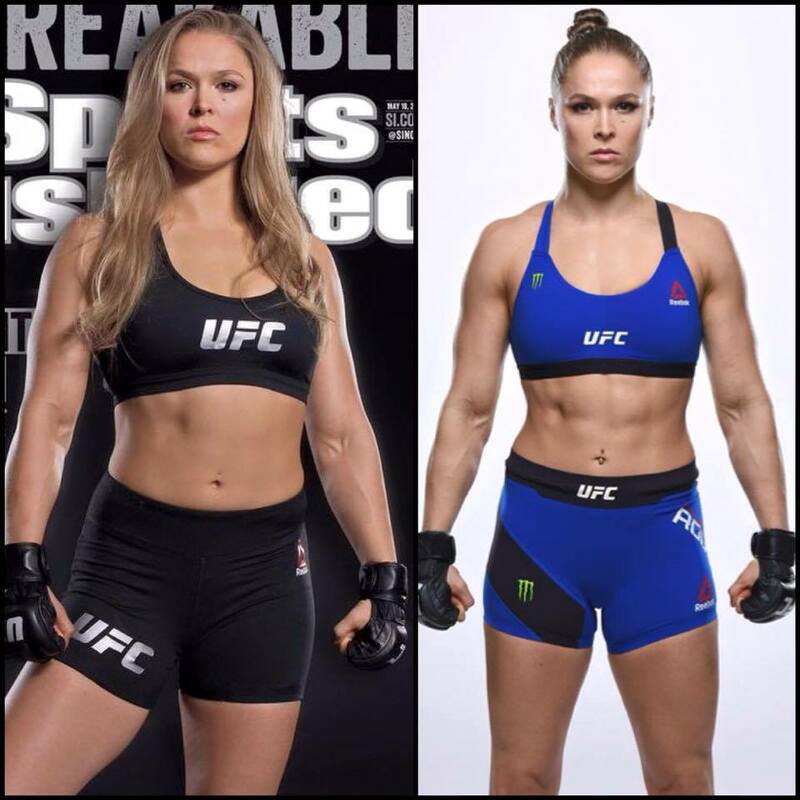 Not only that but there are two, soon to be three weight divisions and that’s all down to Ronda Rousey. If Rousey hadn’t made such a good impression on Dana White by arm-barring the absolute bejayus out of every one of her opponents in her early MMA career, then there’s no telling where women’s MMA would be today. Nugget: Prior to her UFC debut, Ronda had 9 MMA bouts, all of which she won in the first round courtesy of her patented arm-bar. If Lionel Messi could nutmeg a mermaid, then Rousey could arm-bar a feckin’ gorilla. So they say the fight game is 90% mental and 10% physical. If it were the other way around, I believe Rousey would arm-bar Nunes into oblivion inside the first round, considering she’s in the best nick I’ve seen her in since The Expendables 3, but sadly that’s not the case. The biggest question around Rousey’s return is not whether she’s fully fit, it’s whether she’s fully recovered mentally from that devastating loss all those months ago. The fact that Rousey’s been able to convince Dana White to scrap all of her pre-UFC 207 media obligations (a feat that even ‘The Notorious’ couldn’t manage) says a lot, however no one knows what she is thinking except for the woman herself. If Ronda is right mentally, she’ll beat Nunes quite convincingly and resume her mantle as the UFC’s poster child. If Rousey isn’t right mentally, she most likely loses the fight and chances are we’ll never see Ronda inside the Octagon again. My Prediction: I’m hoping for all our sakes that Ronda’s in good mental health and if she is there’s no stopping her, so I’m going with Ronda for the win. Of course UFC 207 isn’t all about the ladies, the lads’ Bantamweight belt is on the line too. The current 135 pound champ, Dominic ‘The Dominator’ Cruz, takes on Cody ‘No Love’ Garbrandt and you’d best keep the fire extinguisher handy ‘cause this one’s got all the makings of a good ol’ fashioned barn burner. Cruz has been kicking the sh*t out of Garbrandt’s fellow Team Alpha Male members for years now, however Garbrandt is a genuine threat, having impressed in his 5 most recent UFC wins against tough opponents. Bookmakers favour the champion here, however I’m of the opinion that the bookies may have this one priced up wrong. My Prediction: This one truly is tighter than a camel’s arse in a sandstorm; far closer than the betting suggests anyway. 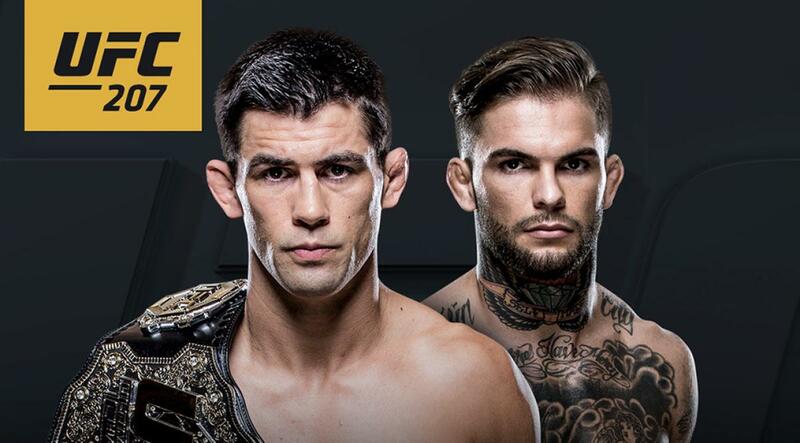 I’m going with Cody Garbrandt for the win as I believe he possess all the tools to put Cruz away. I’ve said it before and I’ll say it again, what excites me most about the UFC is its ability to produce ridiculous upsets; Ronda’s loss to Holly Holm being the granddaddy of them all! If you’ve read our articles on ‘The Conor McGregor Bandwagoner’s Guide To UFC 204!’ or ‘Round 2: The Conor McGregor Bandwagoner’s Guide To UFC 205!‘ then you’ll have gathered that I’m an aspirational punter (some may say mug) who loves a good upset. Amanda Nunes and Cody Garbrandt both to win at 5/1 with Paddy Power. Unfortunately, for all of us in Ireland the options are fairly limited as far as watching UFC 207 is concerned. 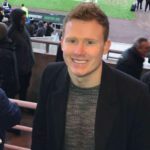 Subscribe to BT Sports: If you’re not an Eir customer, you can pay €25 plus a once off activation fee of €9.99 to get all BT and Eir channels tacked on to your current Sky or Virgin package. 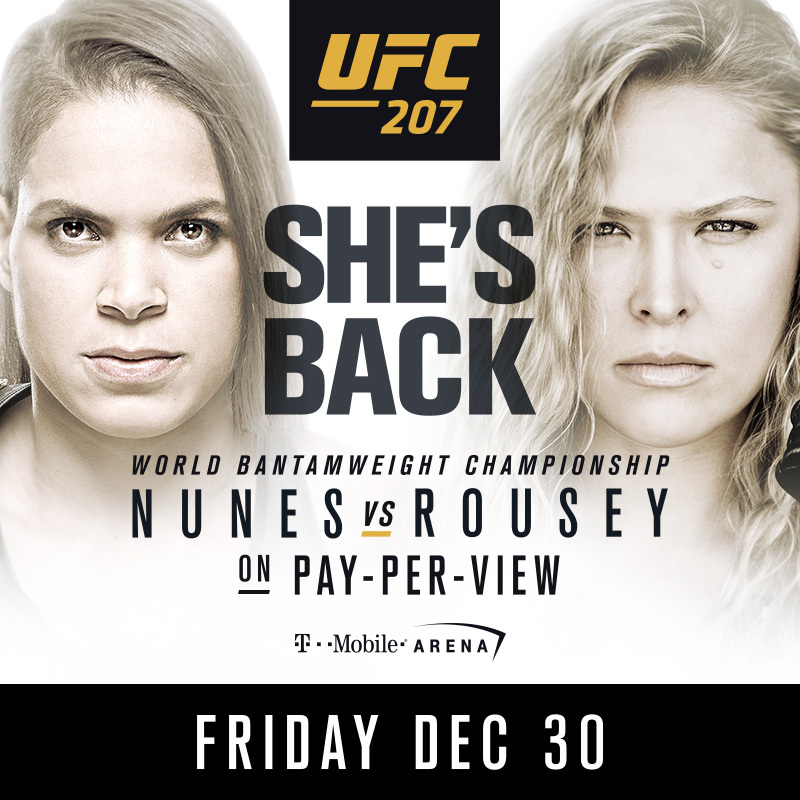 Live Stream: The bigger the event, the more live streams that will be available, which means there should be streams aplenty available for UFC 207. Searching ‘UFC 207 Live Stream’ on Twitter or Facebook usually produces a few reliable links to choose from. 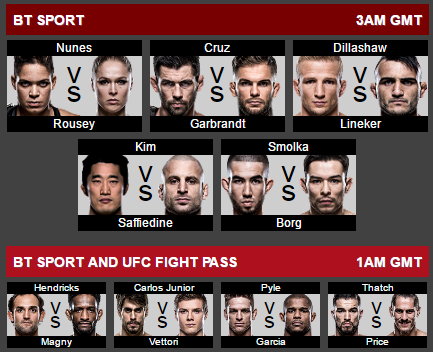 The main card will get underway at approximately 3:00am in the early hours of Saturday morning, so if you don’t feel like staying up, you’re probably best off recording it (providing you’ve got BT, of course). Facebook will be ripe with spoilers, so it’s probably best to watch it sooner rather than later. Now, I hope you enjoy the fight and watch this space for our next ‘Conor McGregor Bandwagoner’s Guide…’!